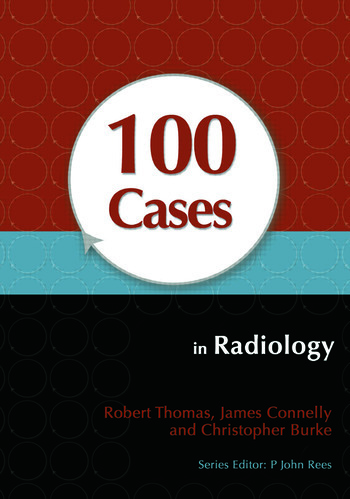 100 Cases in Radiology presents 100 radiological anomalies commonly seen by medical students and junior doctors on the ward, in outpatient clinics or in the emergency department. A succinct summary of the patient's history, examination and initial investigations, including imaging photographs, is followed by questions on the diagnosis and management of each case. The answer includes a detailed discussion of each topic, with further illustration where appropriate, providing an essential revision aid as well as a practical guide for students and junior doctors. Making clinical decisions and choosing the best course of action is one of the most challenging and difficult parts of training to become a doctor. These cases will teach students and junior doctors to recognize important radiological signs, and the medical and/or surgical conditions to which these relate, and to develop their diagnostic and management skills.